The Original Boo and I have been together for more Valentine’s Days at this point than I can even count. Because I’m getting old. OB would also say that it’s because I count on my fingers and I don’t have enough fingers anymore… But when I think back over the years, one in particular always stands out to me. Neither one of us has ever really been into celebrating the holiday in any elaborate way, so I’m not about to tell you that we escaped away for a romantic weekend on an island full of beaches, bubble baths, champagne, roses, glitter and solitude. We actually didn’t do much of anything at all. Before I was a mom, a wife, a property manager, or an official responsible adult, I was a waitress and a bartender. As you can imagine, Valentine’s Day is a pretty busy holiday in the restaurant industry, so I always had to work. There I was, bringing food and drinks to all of the lovebirds that had come out to stuff themselves with overpriced Italian food. I was over it. I just wanted to get home and watch a movie on the couch with OB. I was hoping he’d still be awake by the time that I got there. With every lasagna or chicken cacciatore that I served, I knew that time was ticking slowly by. Every cheesecake with two spoons was another moment closer to getting home. I listened to my friends talk about their plans later on and appropriately oohed and aahed over the new and shiny heart-shaped jewelry that they were showing off. With less than an hour to go, I came around the corner with a tiramisu (two spoons, of course) and saw a familiar navy blue jacket and Red Sox hat at the bar. I bought that jacket! There was OB, sitting at the bar, drinking a beer and looking at me. Before my customers had had even tasted that sweetened marscapone, I was up at the bar, all smiles, asking OB what had possessed him to drive all the way out here. I refilled wine, dropped off coffee and ran credit cards until it was finally closing time. The ride to my car was romantic enough a gesture for me. We had a manager who made all of the employees park super far away in an unlit lot that was only for us. He felt that the customers needed to be able to park close and didn’t see an issue with twenty-something girls trekking across long, dark distances alone to get to their cars. Perfectly safe. When I opened the door to get into OB’s car, there was one white rose on my seat. I picked it up and smelled it, grinning from ear to ear and thinking about how he had always said that flowers were a waste of money. No big, fancy romantic display, but he had driven all the way out here just to drive me to my car and bring me a rose. It was sweet! I told him that I loved the rose and he said that was good, then reached in back and pulled a dozen red roses from the backseat. I couldn’t have been happier or more surprised. Who needs heart-shaped jewelry! I still have the roses. All thirteen, dried, pressed and tucked away with things that I keep. Because love is love. 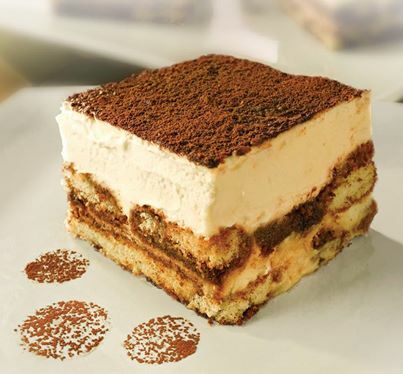 No matter whether you are sharing a tiramisu in the candlelight or just getting a ride to your car. Love is love. That ride is so much more thoughtful than any cheesy heart jewelry! I LOVED that story!! It gave me the chills. And I gasped when I read that there were more flowers in the back seat! I think my hubs has given me flowers twice and neither one of them were on valentines day. Both were just out of the blue ones and those I believe are the best! Haha thank you! Well my husband has given me flowers twice… if you count this story as twice! Sweetest thing ever! My hubby is not romantic or thoughtful at all but one day he might surprise me.